Smart Clean: A super Lightweight & Smart Android Cleaner to keep your phone Clean & Fast easily! 🗑 No More Junk Files and Caches In Your Phone. 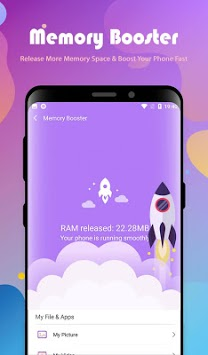 🚀 Release More Memory Space & Boost Your Phone Fast. 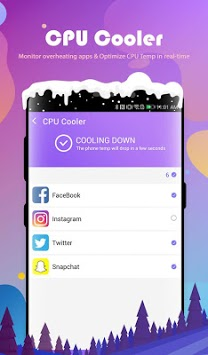 ❄ Detect and close the overheating apps, keep your phone cool down all the time. 🔋 Find out the apps that are draining your power and optimize fast. 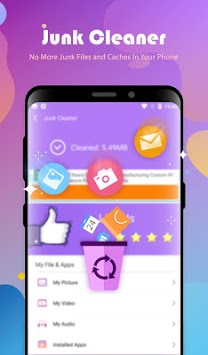 🎯 Scan the application cache, download folders and more, by cleaning these useless junk, your phone will speed up easily. 👌 Simple Design To Help Your Start Easily. Install Smart Clean to keep your phone Clean & Fast easily!